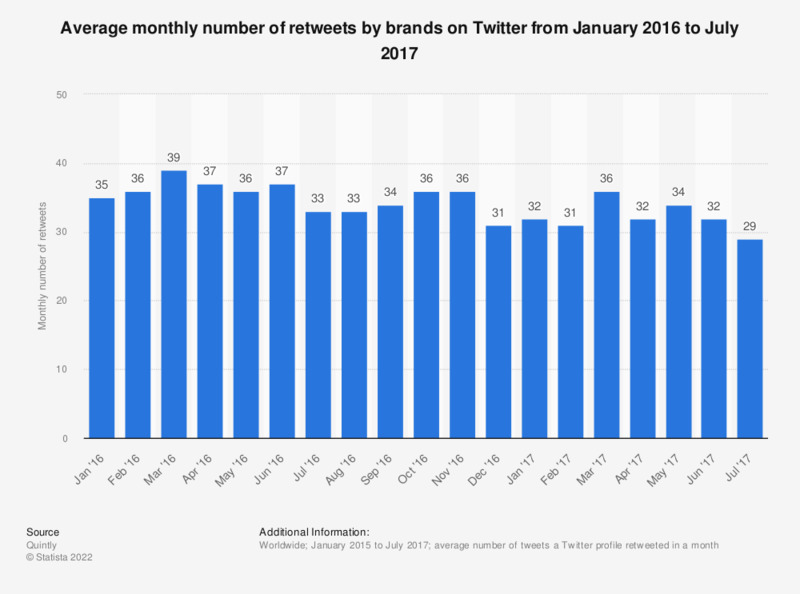 This statistic presents the average number of retweets by brands on Twitter from January 2016 to July 2017. During the last measured month, brand profiles retweeted an average of 29 posts, down from 32 retweets in the preceding month. Data is based on 43,313 brand pages as of July 2017.